Are you interested in foreign policy? Global change? Social entrepreneurship? World media? Leadership? Sustainable development? International security? 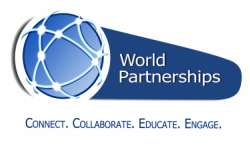 World Partnerships is looking for a select team of college interns to work with hundreds of current and “next generation” leaders from around the globe. You’ll be exposed to all this, and meet the most interesting people in the world, during your internship with us! Be open to honest dialogue and sensitive topics. Be comfortable in multi-cultural settings. Be a self-starter, follow directions, and meet deadlines. Be proficient in MS Office and social media. If you can commit 10 hours a week, conduct research on professional resources in the Tampa Bay area, help to organize events, agendas, databases and MIS reports, you might be a candidate for this internship. If you speak a foreign language, that would be a bonus! Click here to meet our former interns! Write and tell us how you fit the profile of a World Partnerships intern. Please address your inquiries to: Gary Springer, President, at glspringer@worldpartnerships.org with a current resume. We’ll get right back to you! "Internships can also be a source of inspiration," says Michelle Morenza, 21, a student at USF St. Petersburg who interned with World Partnerships for two years. 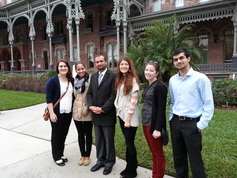 Internships with World Partnerships have helped a number of college-level students in the Tampa Bay community find their path forward in international business, finance and public policy – not to mention creating for them an incredible professional network around the world. Each of them will tell you that their career paths have been greatly influenced by their internships with World Partnerships.